For those looking for a natural product that offers warmth and beauty, wood is your choice. Intus wood frame windows and doors feature sustainable wood that is harvested from FSC certified trees. These fully wood frame windows & doors feature pine frames both on the exterior and interior. One can choose from clear stains or the wood can be stained in numerous color options that range from light to dark colors. The pine wood frames can be finished in either water based or lacquer finishes. These wood color options are available from Intus at no additional charge. The frames are primed and painted or stained in the factory using professional equipment to achieve proper color and thickness for a long lasting finish. Pine, Oak, and Larch wood frames are available, as well as other species, please contact Intus for more information. 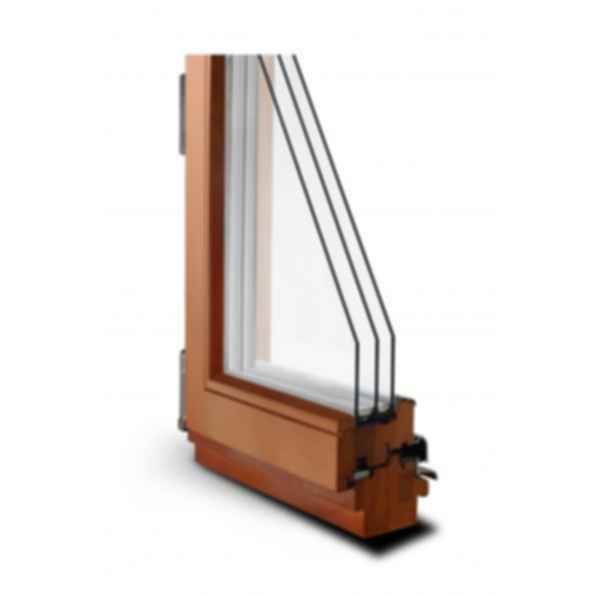 These triple pane wood windows are Passive House suitable. 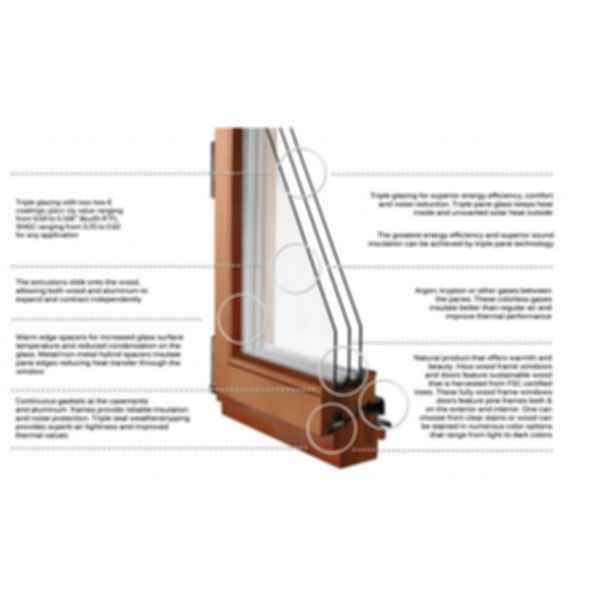 Triple window seal provides superior air tightness of 0.03 CFM/sq.ft.